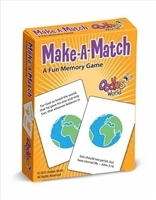 Make-A-Match: A Fun Bible Verse Memory Card Game. Save 75%. 2 Bottles MineralRich by Maximum Living. Mineral Rich. 64 oz. total. Communion Cups. Box of 1000. Save 27%.